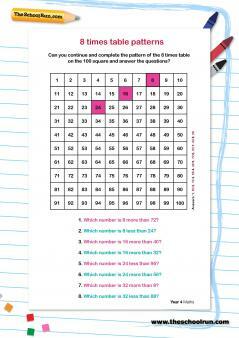 These times tables are trickier than the others because each item in the table is more likely to involve changes in two columns (tens and units) rather than one. I usually teach them in this order: 9 times table, 8 times table (followed by the hardest multiplication table to learn, 7) and finally 6 times table. 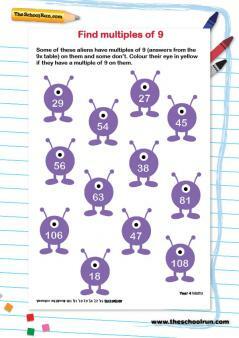 Once children know 10s, this is fairly easy, as the second digit reduces by 1 each time until we reach 10x9. 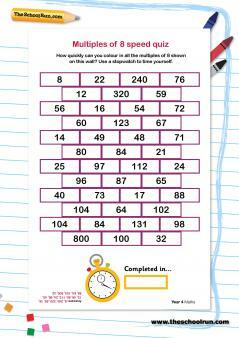 The 11x of every table is easy ,as it just adds 1 of the table to 10s, in this case 90, giving 99. 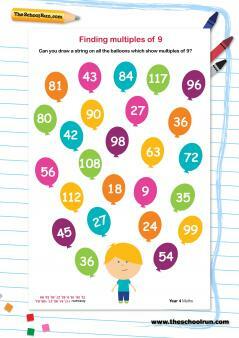 The only tricky one is moving into the 100s column with 108, and this comes with a little practice. Take away 2 from the units digit this time, and the digits repeat themselves after 5x8 = 40. The final one is the only tricky one. My primary school teacher once told us as a curious fact that 5 16s were 80, and for some reason this stuck in my mind; 6 16s (or 12 8s) are then easy to remember as 80 + 16 = 96. 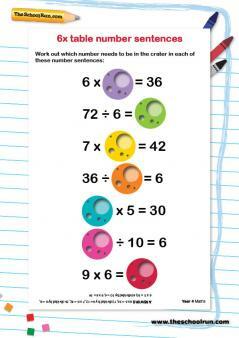 When working on the 8 times table with children I usually concentrate carefully on the 88, which is easy, and then add 8. Taking care over this is well worthwhile, as it gives a sense of pride to children when it sticks. ... and then there were 6! The 6 times table is a little trickier than the other even-numbered tables, though not quite as awkward as 7, so it comes as a relief. 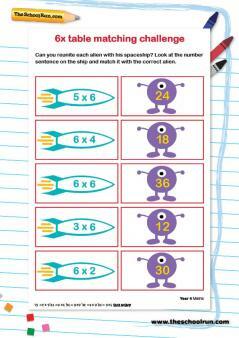 Once again, the final numbers repeat themselves after 5x, so approach the table in two halves if this seems easier. 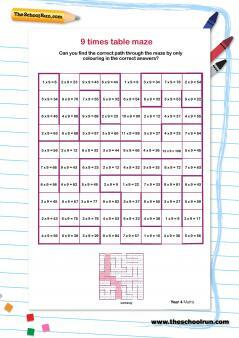 For a selection of times tables worksheets go to our Times Tables Learning Journey or see below.